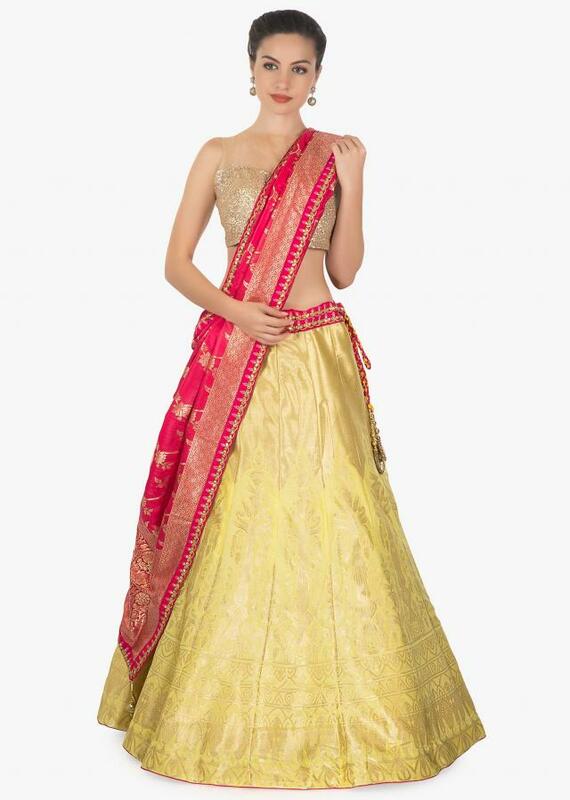 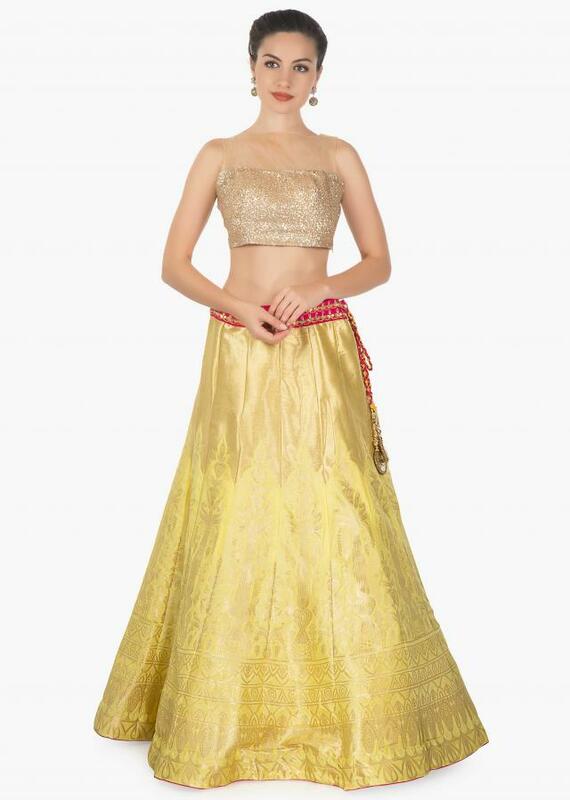 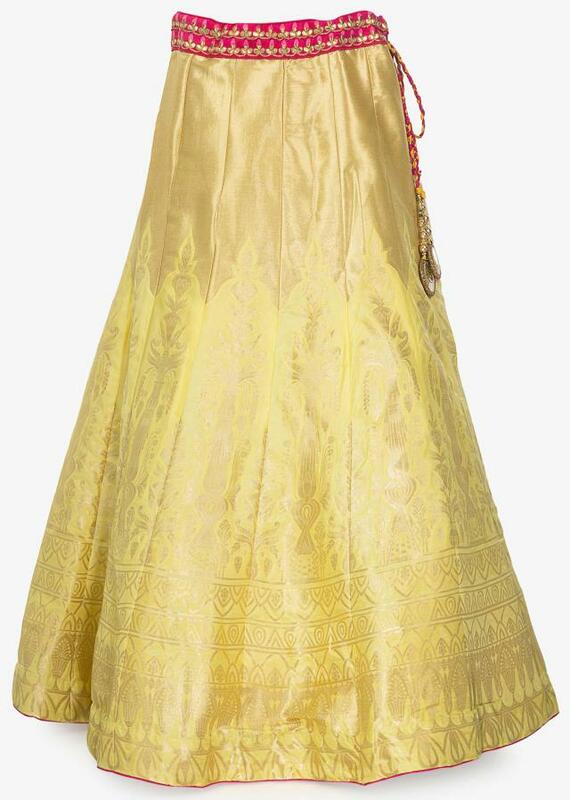 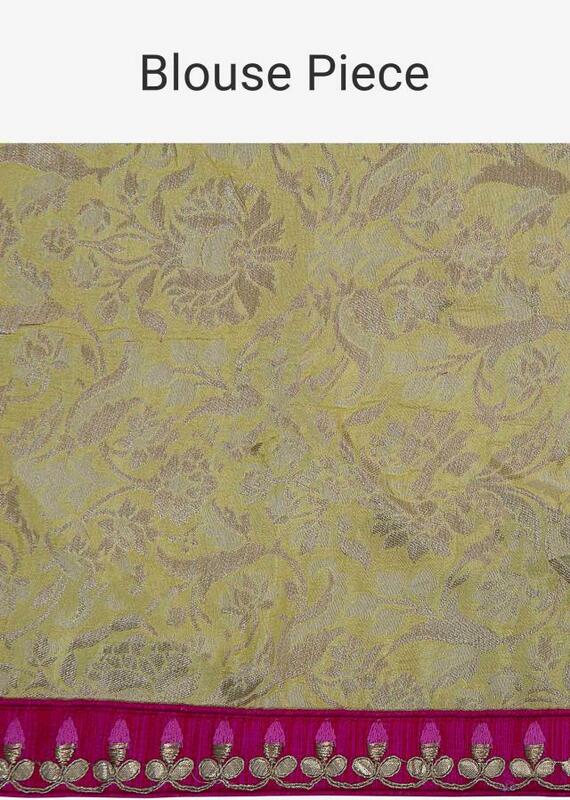 https://www.kalkifashion.com/yellow-brocade-silk-lehenga-featuring-with-rani-pink-brocade-dupatta-only-on-kalki.html 18567 Yellow brocade silk lehenga featuring with rani pink brocade dupatta only on kalki https://d8evit4zy2nlo.cloudfront.net/media/catalog/product/y/e/yellow-brocade-silk-lehenga-featuring-with-rani-pink-brocade-dupatta-only-on-kalki-436407_5_.jpg 289 289.0000 USD OutOfStock /Lehenga Choli /Lehenga Choli/See All... /Lehenga Choli/Designer Lehengas /Lehenga Choli/Bridesmaid Lehengas /Lehenga Choli/Sangeet Lehengas /Collections/The Brocade Bash Still the spotlight of every function and occasion with this yellow brocade silk lehenga featuring with rani pink brocade dupatta. 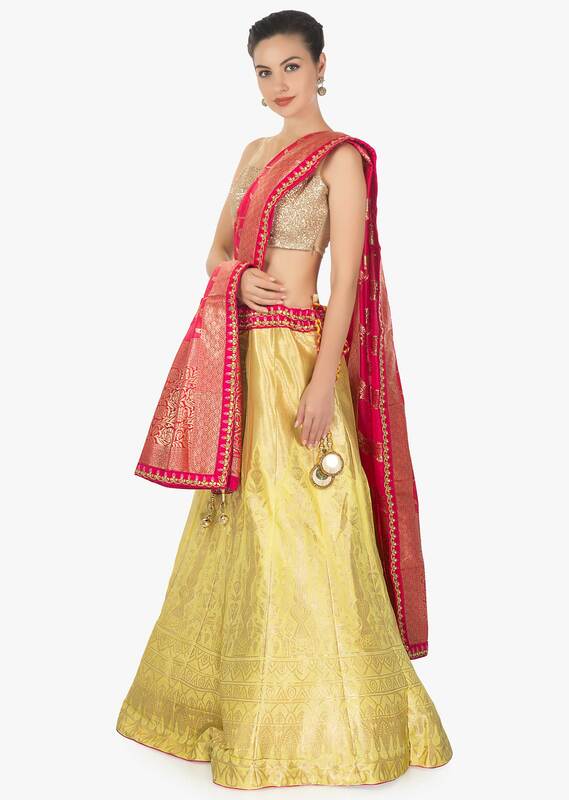 Still the spotlight of every function and occasion with this yellow brocade silk lehenga featuring with rani pink brocade dupatta. 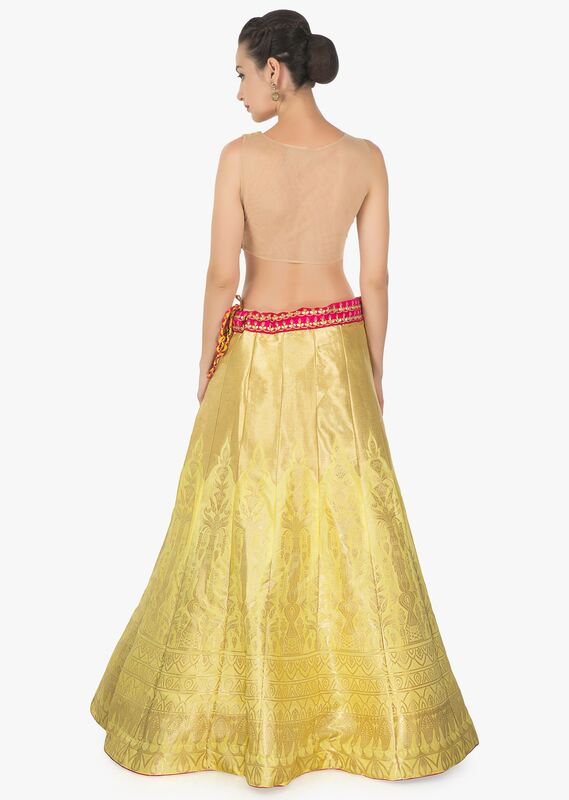 The waist line and the dupatta borders are enhanced with gotta patch. It comes with an unstitch dupatta.